Our robust and redundant network, combined with cutting-edge equipment, ensures fast and reliable Internet connections for your business or home that are second-to-none. Speeds of 5 Mbps up to 1 Gbps are now available for your business with Connect NorthWest's Gigabit Ethernet. We provide scalable bandwidth solutions designed to meet your growing business needs. Our Wireless Point-to-Point connectivity solution is a state-of-the-art broadband wireless access solution that delivers high-speed Internet and Wide Area Network access to business of all sizes. Increase your business' efficiency with Hosted Microsoft Exchange from Connect NorthWest. 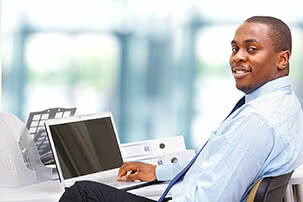 Exchange 2013 includes many new features to help your employees boost their productivity.